1. Patwari AK; Kulkarni R;Anjeja S; Idrisa Audu. Anthromettric measurement of privileged neonates in Maiduguri Nigeria Cent,Afr.J.Med.1988,34;78-84. 2. Idrisa A;Omigbodun AO;Adeleye JA. Pregnancy in Haemoglobin sickle cell HBSC patient at the University of College Ibadan, Nigeria Int. J. Gynaecol Obstet 1992; 38(2);83-86. 3. Idrisa A;Airede AKI;Agida ET. A study of perinatal mortality Nig.J.Surg.Sci.1992(2);82-84. 4. Idrisa A; Ladipo OA. Obstetric performance of patients with sickle cell HBSS anaemia at UCH Ibadan J.Obstet.Gynaecol. 1992; 12;381-384. 5. Idrisa A; Obisesan KA;Adeleye JA. Fetal Membrane Sweeping for stimulation of labour in prolonged pregnancy. A conrolled study J.Obstet.gynaecol. 1993; 13; 235-237. 6. Harry TO; Bukbuk D; Idrisa A, Akomo MB. HIV inffection among pregnant women, A worsening situation in Maiduguri, Nigeria, Trop. Geog. Med. 1994;46(1)44-45. 7. Idrisa A; Audu BM; Appraisal of caesarean section Nig. J. Surg. Sci.1995:5(2)68-70. 8. Ziari SA; Mireles VL Cantu CG; Cervantus III M: Idrisa A; Bobzom DN Tsin ATC; Glew RH; Serum Vitamin A; Vitamin E; and betacarotone levels in pre-eclamptic women in Northern Nigeria American J.Perinatology. 1996,13;(5);287-291. 9. Jackson DW; Sciscione A; Hartley TL; Haynes AL; Carder EA Blackmore KJ; Idrisa A; Glew RH; Lysosomal enzymuria in pre-eclampsia. American J.Kidney diseases 1996,27(6)239-241. 10. 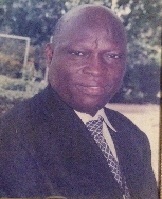 Idrisa A; Omotara BA. Planned Homebirth in MaiduguriNigeriaJ.Obstet.Gynaecol.1996;(16)239-241. 11. Idrisa A; Agida ET;Moses AE; Antenatal Screening for syphilis Nig. J.Surg.Sci.1996;6:17-18. 12. Sanchez PA; Idrisa A; Bobzom DN; Airede AKI;Hollis BW;Liston DE;Jones DD;Desgupta A;Glew RH; Calcium and Vitamin D. Status of prenant Teenagers in Maiduguri Nigeria Journal of the National medical Association 1997,89(12);805-911. 13. Idrisa A; Community reproduction Health problems in Borno State of Nigeria paper presented at a workshop organized by the Ministry of Health in Collaboration with UNPA at Maiduguri 1997. Proceeding – published 1997 pages 13-18. 14. Ezenwaka CR; Idrisa A; Okara GC: The influence of Maternal plasma glycaemia on `fetal outcome in N.E Nigeria J.Obstet.gynaecol.1998;18(5);457-461. 15. Idrisa A; Nwobodo EI: The problems of granmulitipara as seen at the University of Maiduguri Teaching Hospital. Nig. J. Medicine 1998. 7(4):165-167. 16. Idrisa A; Mairiga AG; Tomfari O: Urinary cast changes in pre-eclamptic women in N.E. Nigeria. Trop.J. Medical Research 1998. 2(2):69-72. 17. Idrisa A; Harry TO; Head and Body dimensions of – Babies delivered by HIV positive mothers in Maiduguri Orient Journal of Medicine 1999;11:24-26. 19. Idrisa A; El-Nafaty AU; Mai AM; Intra – Operative Assessment of Tubal Patency at a University Teaching Hospital in Nigeria Nig. J. Clinical Practice 1999;2(2):46-48. 20. Idrisa A; Fibroid – An Overview Publication of the Human Development research and Welfare Organisation HUDOROW 1999:1(3);6. 21. Idrisa A; Omotara BA; Emeka O: Emergency contraceptive knowledge and practice in a rural setting in N. Nigeria Sahel Medical Journal 1999;2(2):73-76. 22. Agida ET; and Idrisa A; Outpatient experience of Manual Vaccum Aspiration for psotabortion care. Nigeria J. Surgical Sciences 2000. 10:27-30. 23. Idrisa A; Emeka O;Abimiku BM; Endometgrial sampling a a Teaching Hospital in Northern Nigeria. West Afri.J.Med. 2000:20(1):45 – 48. 24. Chama CM; El-Nafaty AU; Idrisa A; Caesarean Morbidity and Mortality at Maiduguri, Nigeria J.Obstet.Gynaecol. 2000:20(1):45 – 48. 25. Tomfafi OA; Idrisa A; Sawhney NH: Incidence and etiology of urinary tract Infection in Maiduguri J. Life and Environmental Sciences 2000/01:2/3:144–148.